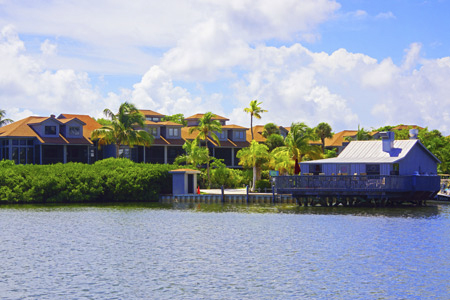 What better way to explore North Captiva Island, than with an extended stay? Vacationing on the island is a true one-of-a-kind vacation experience. 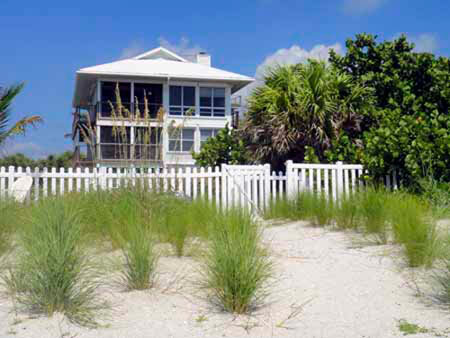 The sandy streets, the golf carts, the miles of amazing beaches... check out these great vacation homes that are available for our to rent. Stay and Play! 5 Bedrooms, 2 Baths Luxury preserve front retreat. Windswept offers a spacious interior, one of the largest private pools on the island, and one-of-a-kind views over the preserve to the GULF. 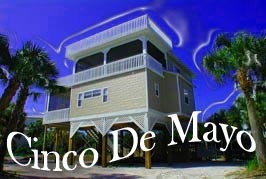 Max occupancy 12 people... resort amenities and beach chairs included! 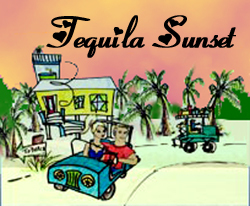 2 Bedrooms, 2 Baths Tequila Sunset is a delightful and luxurious two bedroom, two bath private beach home, which is designed and newly furnished to be your home away from home. 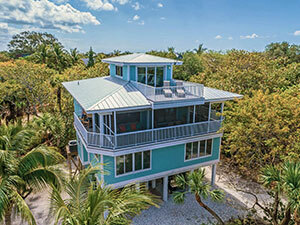 Enjoy coffee on your own screened-in veranda off the fully equipped kitchen, or enjoy watching the sunset over the Gulf from the rooftop lookout. Spacious and modern, decorated with attention to detail. The Day House - Cool open concept great room and loft with beautiful kitchen and full bath. The Night House, three bedrooms and a sleeping loft. Both houses are connected by a large screened room. Serene, spacious, and close to beach! This home offers a huge area with open concept living room and covered screen porch. 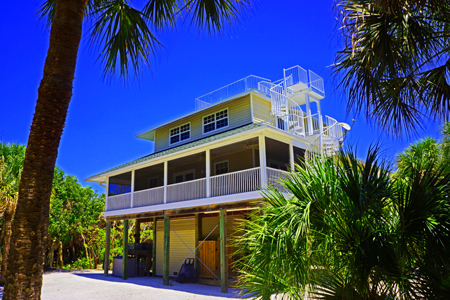 Top level lookout has excellent views of the Gulf and Sunsets! Pool and adjacent outdoor pool bar are perfectly situated in the sun. 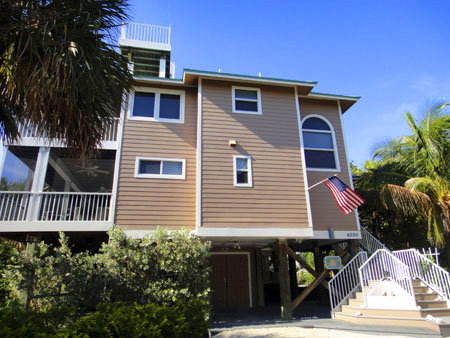 3 Bedrooms, 2.5 Baths, Steps to beach! Gorgeous and pristine interior with great views! Spacious living area with open concept kitchen, living room, and dining area...plus a huge covered screened porch for relaxing outside. Top level loolout ofers BIG VIEWS! 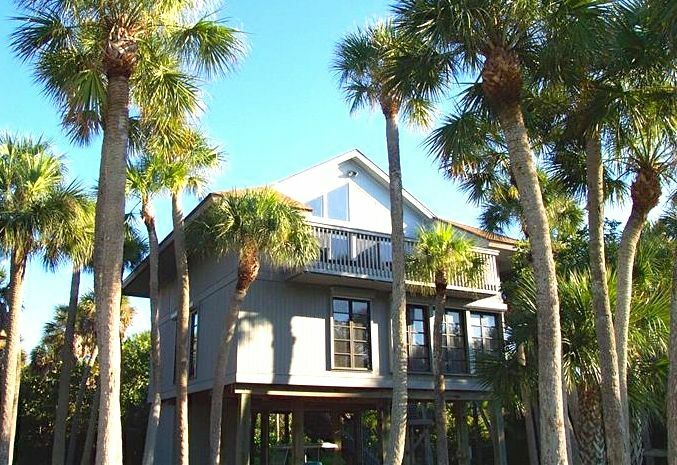 4 bedroom direct access home with wrap around views and docks right on the waterway. Private heated pool with outdoor bar is surrounded by mature coconut palms and views. 2 Bedrooms, 2 Baths, with dockage! Enjoy this fully upgraded and custom finished townhome with waterfront views. Steps to the ferry landing and offers full use to the Safety Harbor Club amenites. Large open concept kitchen with dining area for 6. Perfectly decorated, crisp, and delightful! 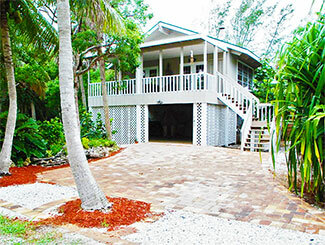 4 Bedroom, 2.5 Bath, Private Pool Luxury island home is professionally decorated. 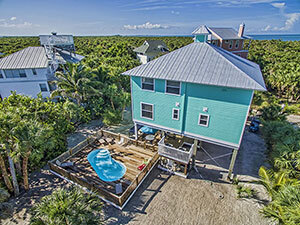 4 bedrooms 3 bath provides a festive environment for a family vacation retreat, only steps away from the spectacular North Captiva Island Club. 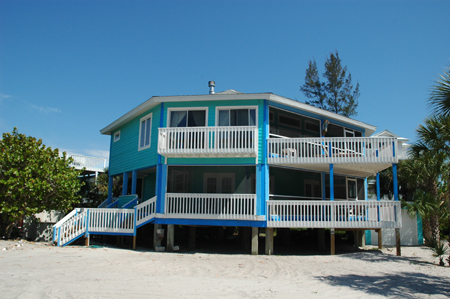 4 Bedroom, 2.5 Bath beachfront home with private beach access and gorgeous Gulf views. Reverse floorplan home that takes advantage of the views and sea breezes. 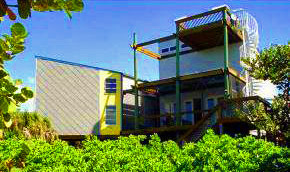 Double story screened porches are located off the master suite and the living room. The third level offers an amazing vantage to watch the sunset. 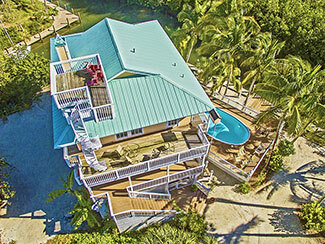 5 Bedrooms, 5 Baths, Private Pool Premier Gulf Front Rental on North Captiva Island. Perfect for your next dream vacation. 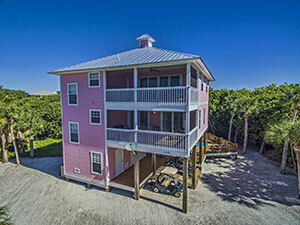 5 bedrooms, 5 baths; with views of the gulf that will astound you. Sleeps 15 with sleeper sofas and daybeds too! 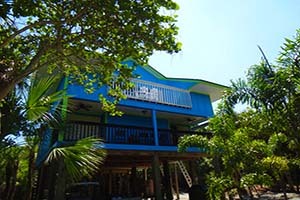 3 Bedrooms, 2 Baths Adorable mid-island cottage surrounded by mature tropical trees and very private! Comfortable reverse floorplan offers a large open sun deck for dining area. The master suite offers access to a sun porch and its own en-suite bath. 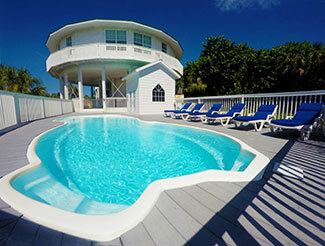 Located within a very short stroll of the beach access just around the corner. 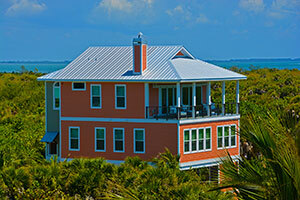 Views of the Bay Vacation Rental on North Captiva. Perfect for your next dream vacation. 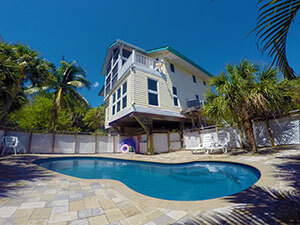 4 Bedrooms, 3.5 Baths Fully updated and re-decorated in 2014, this home is just one house back from the beach and offers 4 levels of views, sounds of the seashore, and lavish decor. 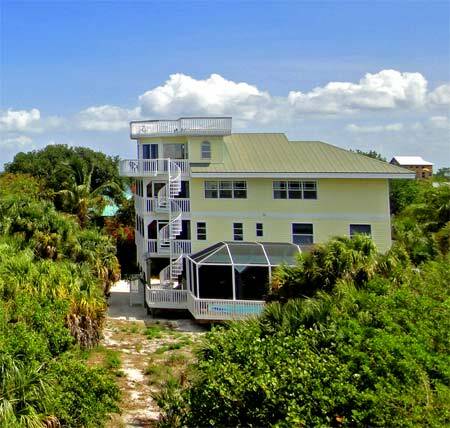 The top level lookout offers stunning views of the Gulf, beach, Cayo Costa Island, and the sunset. 4 Bedrooms, 4 Baths with private heated pool. Ocean Boulevard blends the ultimate beach decor with a great location, just steps from the beaches. Completely remodelled in 2016. Direct Gulf Views from the living area and the lookout deck. Gorgeous and pristine from top to bottom! This stunning "limited edition" (annually only five weeks peak season are available) vacation home is the epitome of Paradise on the island. 3 Bedrooms, 2.5 Baths with private heated pool. Cathedral ceilings in the living area with large screen porch. Two bedrooms and two baths, Airstrip Landing Rights Available. 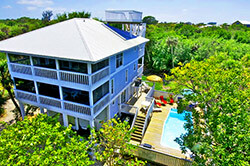 Authentic island charm surrounded by tropical palm trees, fully restored and renovated. Just completed in 2014, this beautiful home offers a private pool and direct beach access to the beaches right at the end of the street. 3 Bedrooms, 2 Baths close to the SHC club pool and on the lake. Delightful new decor with chic urban style. Large open porch faces the lake with beautiful views and perfect for bird watching. 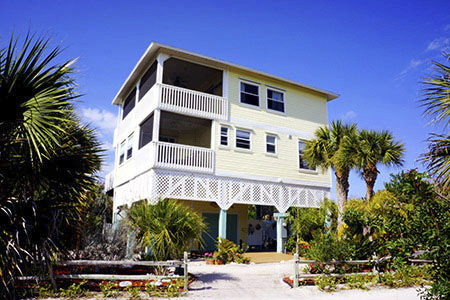 Within quick walking distance of the Gulf beach access. Brand New 3 bedroom and 2 bath home with private pool, open concept, and beautiful island decor. 4 Bedrooms, 2.5 Baths Professionally-decorated luxury home located just 50 yds. from the beach. 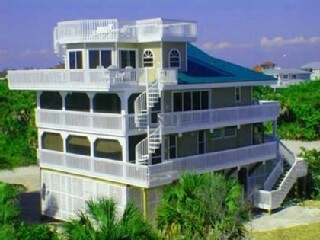 Pamper yourself with the finest amenities in this 4000 square foot (3000 under air), four bdrm./3 bath dream beach house. Decks on 4 levels (2 screened/tiled). Hot tub on Master Bedroom deck. DirecTV + wireless high-speed internet. Views of the Gulf and within a short walk of the beaches, this three bedroom home offers brand new everything from a full house remodel in 2013.